[3.0]Wild Strike. 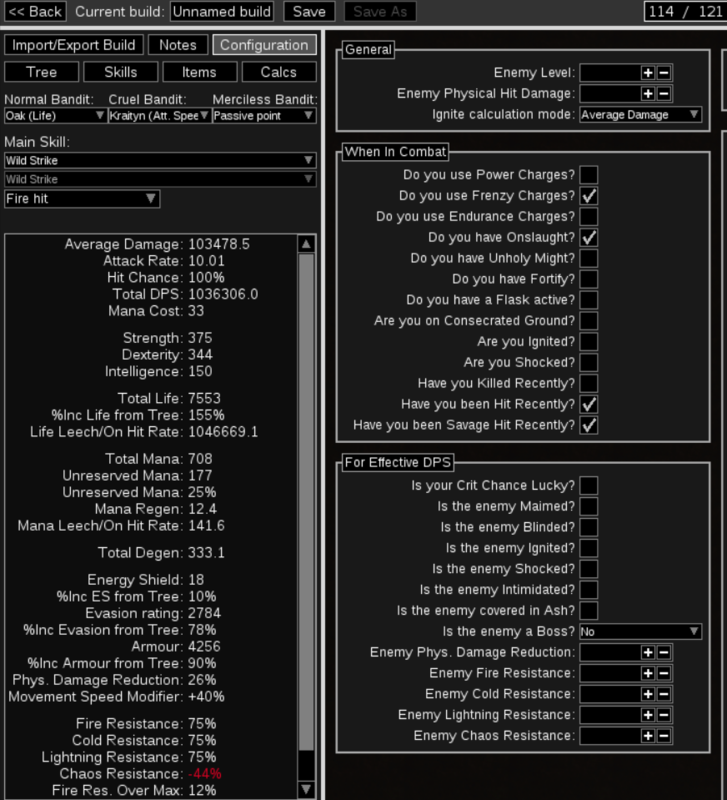 Facetank content with 1.9M dps. All maps, all Guardians and Shaper. Videos inside. When 2.6 patchnotes were published I instantly decided I wanted to try out Wild Strike. I got to a clunky start but as I progressed the build it became better and better. Build is very versatile. 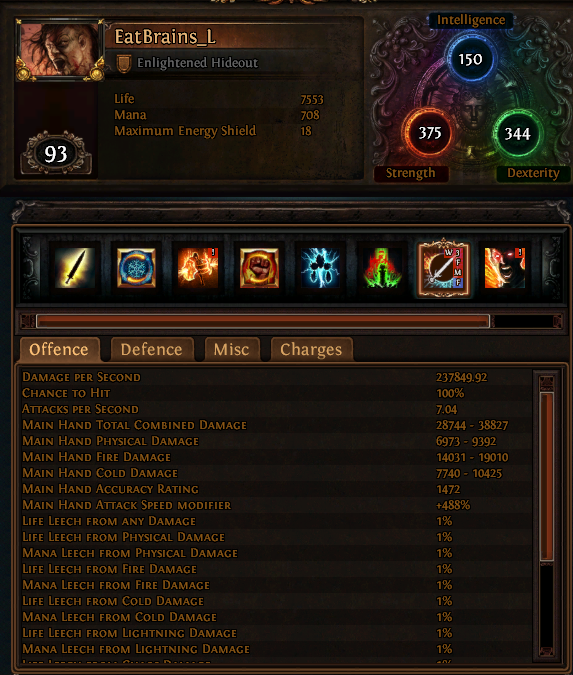 It is very tanky due to the insane Berzerker Leech, it has great clearspeed and very good single target dps. It clears all maps easy including guardians and Shaper. It's the most fun build I've played in a long time. 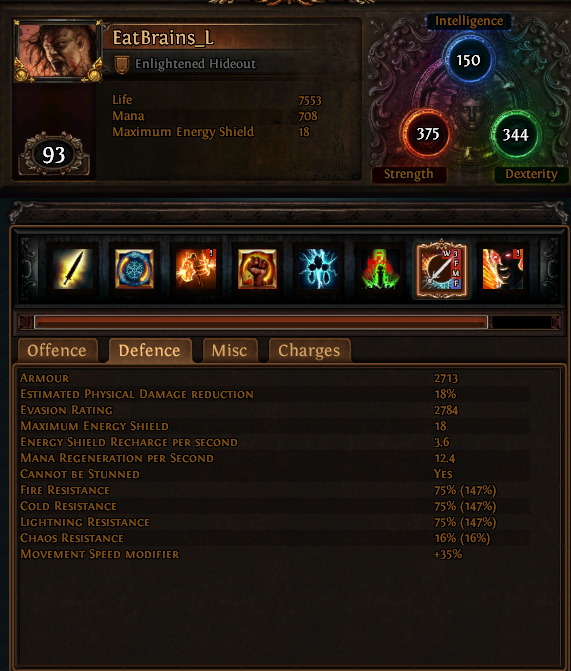 Build has lost minor dps with 5% nerf on Weapon Elemental Gem. There is also flask nerfs. The build gaines alot of survivability with the Panthoen system. Cannot be stunned if stunned recently is very good. Also 20% reduced reflected damage wich adds up to 30% reduced reflected damage with the passive Primeval Force makes it possible to do elemental reflection maps and should be immune to elemental reflect rares. The changes to how Volatiles work is also a big boost to our defenses. DPS has never been this builds problem, defenses have been. Can't wait to play this build in 3.0. Just start with Ground Slam and Sunder. Switch to Wild Strike when you get Multistrike. Use high dmg 2H weapons when leveling. Prioratize life and resists on gear. Take all the life nodes on tree first before taking dps nodes. Finish uber lab before starting red maps. Pick up Vaal Pact around the same time you pick up Cloaked in Savagery and after that pick up all the life nodes. Finally finish with the physical nodes and jewels. Kaom's or Belly for the highest possible life. You need 6L if you use Kaoms. Enchantment on helemt is important here. Get 6 extra chains for QoL when mapping. Wild Strike extra damage is fine for bosses like Guardians and Shaper. Most important for boots is to have 16% Attck Speed enchant. Also Life and Movement Speed. You can use any boots you like. I use these because I got them for 10C early in the league. Use these slots to get as much life as you can. Also fill in the Res you need and try get some offensive stats like flat physical. Updated tree and gear section. Now have Phase Acrobatics and curse on hit Enfeeble wich make the build even more tanky. I'll do some Guardian runs and Shaped Strand speedruns tonight and record. Added new videos of breach domain runs in video section. hi thank you for the guide. could you please upload a minatour run? may the dövlet who abandoned us be with your aid for the last time! I really like your build. I like the run up and hit hard and fast playstyle a lot. What you think your chances are with Shaper/Uber Atziri? Any videos of these? Also what content do you think your budget version can achieve? I've tried Uber once. Vaal's and Trio are easy, but Atziri splitphase is a mess, because of Wild Strike chaining, I kill myself. I have tried using Lightning Strike but it's mediocre. It's very doable, but I can't afford many sets to try it out. I haven't tried Shaper yet, but with min/max gear I'm confident that the build can do it. With budget gear I did tier 15 maps easy. I don't think Guardians are possible in budget gear but other than that, no problem. With 6k life it's not easy to get stunned. I prefer the 16% Attack Speed but the there are other enchants that can be used. What do you think about this acrobatics tree?